Navagio Beach or Shipwreck Beach, is an exposed cove, sometimes referred to as 'Smugglers Cove', on the coast of Zakynthos, in the Ionian Islands of Greece. It has been so named since 1983, when the alleged smuggler ship Panagiotis was wrecked on the beach while transporting cigarettes. 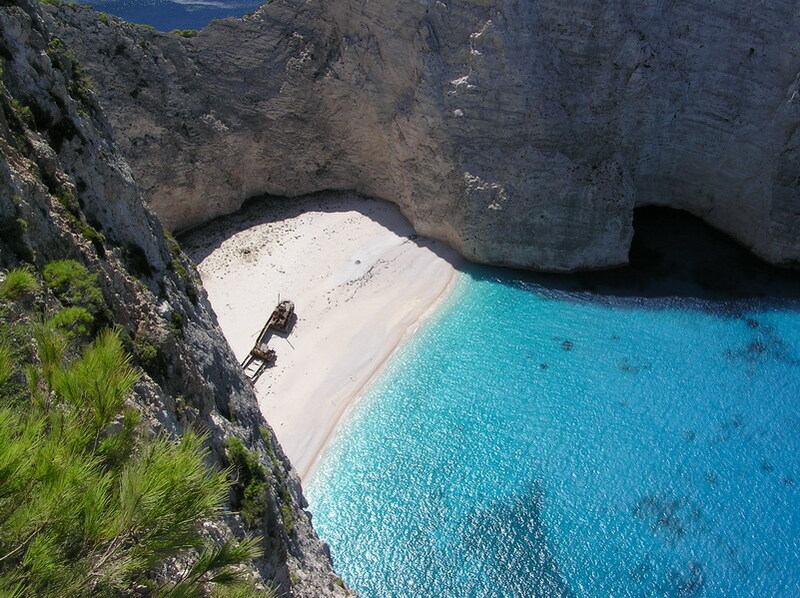 Navagio is located on the north-west shore of Zakynthos (Zante), in the Municipality of Elation. The area is defined by its sheer limestone cliffs, white sand beaches, and clear blue water, which attract thousands of tourists yearly. The strip of beach is accessed only by boat. Regular tours to the beach depart from Porto Vromi to the south, and from Agios Nikolaos and Cape Skinari to the north-east. Boats also arrive from the harbour of Zakynthos city.